The Competition is fierce for the title of 2019 Bowl Champion! Each of our board members was challenged to make a bowl in GlassRoots' Flat Shop - using a process of shaping glass in a kiln with heat and gravity - and of course their own creativity! 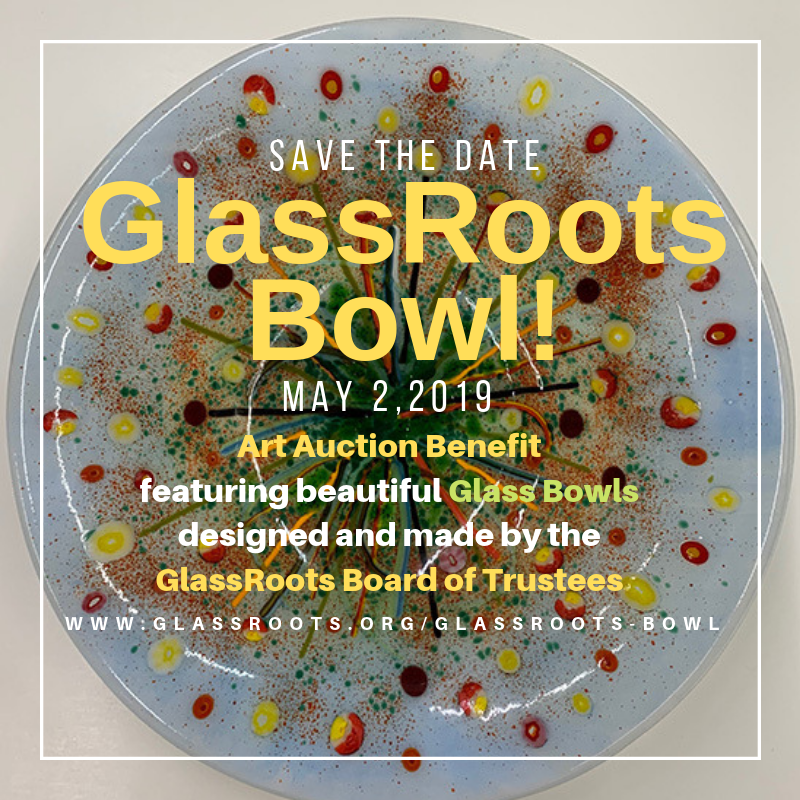 Which GlassRoots Board member made the best fused-glass bowl? ​Each $10 donated equals 1 vote! While it’s all in good fun - the competition is real! Our board members are creating to support the programs at GlassRoots they care about fiercely! The winners will be our students! Your vote also wins you an invitation to the Crowning Event on May 2, from 6 - 8 pm, at NICO Kitchen + Bar in Newark where we'll have even more fun in store! ​Light hors d'oeuvres, cash bar, special menu choices! RSVP for the Crowning Event Now!